Thank those of you who prayed for us as we met last Saturday for team planning in this new year. We praise God for our team that began years ago with one Hungarian couple and our family and has now grown to a total of three Hungarian couples and Roger and Heidi Woo, Brenda Herhei and of course our growing family. What a joy to seen continued unity, to have one Lord, one purpose, one goal to see Him glorified! We are also thankful for you, our supporters who make our team even more expansive as you pray for us and support our Gospel centered endeavors in Hungary. As we look toward following Jesus through 2012, one of our focuses as a team is being teachable, being intentional to teach others to be able to teach others. I reminded the team that one generation of growing believers doesn’t guarantee the longevity of the church. If the next generation observes, learns, yet does not teach others than the movement that has begun will end. At the core of our calling is Jesus command, “Go therefore and make disciples.” (Mat 28:19) And of vital importance is that a disciple understand that he/she is called to make more disciples. Paul says to Timothy, “What you have heard from me in the presence of many witnesses entrust to faithful men who will be able to teach others also.” (2 Tim 2:2) This presupposes that men and women are maturing and that there are other more mature men and women looking for opportunities to personally and intentionally reach out to help them on the path of maturity. This job is too great for one person in the church. Many need to be involved in discipleship relationships. One focus of our team this year is to continue focusing on discipleship. 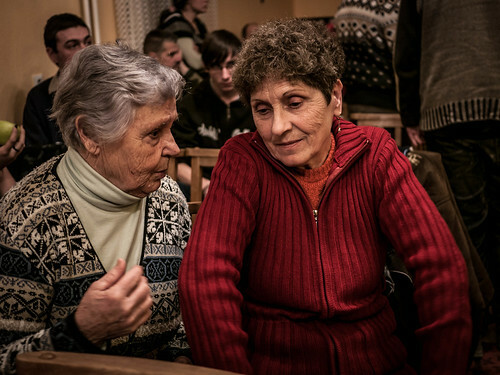 Above: Some of the precious elderly in our church, Gizi and Marika. Gizi (over 70) continues to be used by God as she reaches out to family members with the gospel. God has also used her to minister to families in need and she has repeatedly expressed her need for prayer as she seeks to bring God’s truth to the lost. We praise God for her example and for transforming this woman who once suffered from depression, bitterness and isolation to a bright light in the world. Seated next to Gizi is Marika who lives in the neighboring town of Apc. Miki held an evangelistic study in her house on Sunday for the first time and we are thankful that Marika’s neighbors and her daughter attended. I’m also thankful for church members responding to God’s call to practice hospitality in the community. Above: Istvan from the town of Jobbágyi with his son. Above: Dezso and Miki leading a time of praise on Sunday. 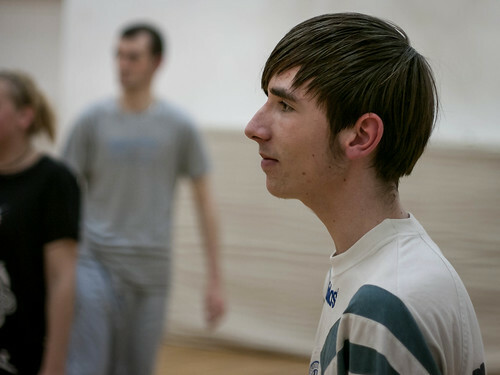 Dezso is the leader of the church plant in Rozsaszentmarton. In a recent small group meeting with believers in Rozsaszentmarton, they sat around a table and played a game designed to create conversation. Dezso asked his church planting team mate Tamás to read a passage from Scripture before the night began. Without planning, Tamás read the exact scripture that Dezso was planning to talk about later that night. In the game time, one of the questions asked what was a highlight of their week. Then the question was turned around asking what was difficult during the week. Dezso initially wondered if this would lead to a bunch of complaining, but then the Spirit led them to begin praying for each person’s hardship after they shared. 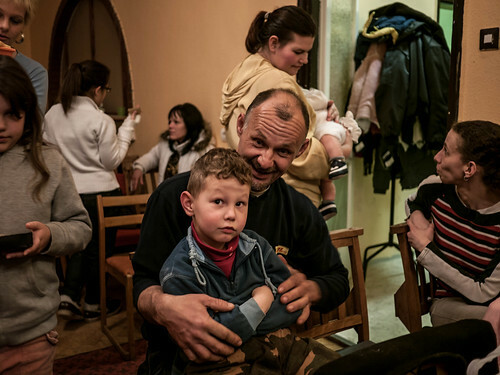 Previously when Dezso would ask, “How can I pray for you,” he would often get a blank stare, but through this informal game time, requests became more natural and I believe the church in Rozsaszentmarton will grow from this experience. Above: Laci (from Rozsaszentmarton) with his wife Marianna and son Balázs. Above: Peti who is already tall leaping to block on Monday. Above: Miki (black shirt) talking with Attila. 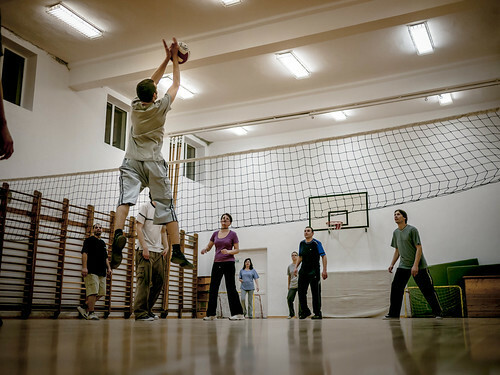 Volleyball is a great opportunity to remain connected with those in the community who are friends, but not yet believers. Attila has begun attending an evangelistic Bible study at Miki’s house and Attila’s girlfriend was saved at the end of last year. It is our hope that both Attila and his girlfriend Monika will fully experience a personal relationship with the Father through Jesus Christ and be transformed by His grace. Above: Laci and Marianna’s (from Rozsszentmarton) eldest son Peti has been attending volleyball and also church. Please pray for him to come to understand the Gospel and put his faith in Jesus Christ as Savior and Lord. 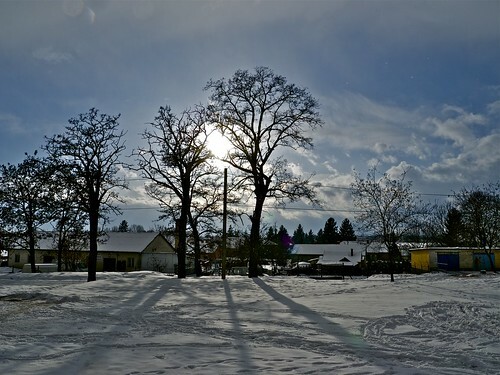 Above: The scene outside as I joined some friends to play tennis last week. Of course we played indoor. 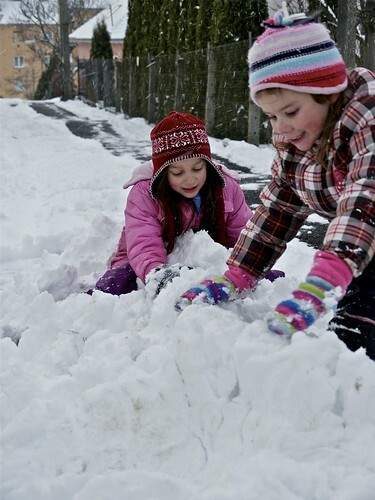 Above: After a mild snowstorm and chilly weather, more snow rolled in this past week giving the kids another opportunity for sledding, castle building and snow ball fights. 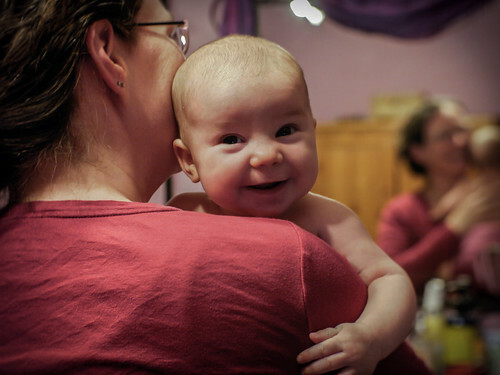 Above: Ziva at three months old. More chubb, more smiles and more fun! We praise God for the health of our growing child and for the joy she brings to the family. 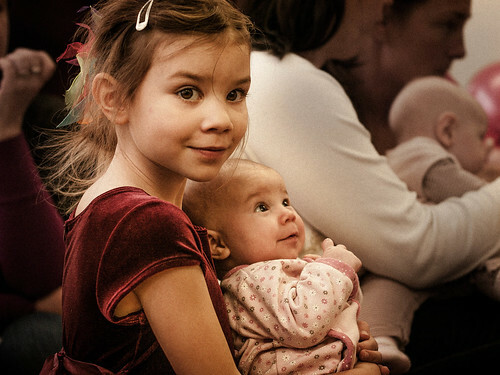 Above: Kira with her little sister at Kira’s “Farsang” event at preschool. - Pray for our Hungarian church planting teammates Miki and Erika. Erika recently left her job as a special education teacher to put more time into her family (they have two kids) and into church planting. This seems completely illogical to the world around her as so many look for jobs and find their identity in work, but Erika is simply responding to what God has been revealing to her over the past few months. This move will put them in financial strain and we ask that you would pray for God’ provision for their family in this transition. - Pray for one of the teens (I don’t want to mention the name) that is having a tough time deciding between the world or to follow Jesus. Pray that God would reveal His love, His leadership, His provision of wisdom in this time that this teen would make the right decisions in life. 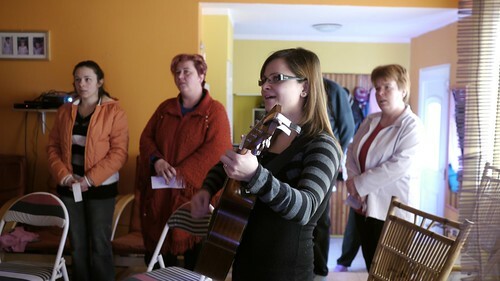 Above: Eszti, who has been a growing member of our church in Petofibanya for years travels to lead songs of worship at the first official meeting of the church plant in Rozsaszentmarton. This season of seeing core church members going out and using their giftings in other church plants is very encouraging. Although we have prayed for this and planned for this and hoped for this for years and years, it is still a work of God that leaves us in a state of awe. Praise Him for the launch of the church in Rozsaszentmarton. Above: Those who attended the first worship service in Dezso’s house in Rozsaszentmarton. Dezso (far left) is leading this work with the help of core team members Ági and Tamás (to the right of Dezso). Dezso was thankful that his brother (far right) came with his wife and hopes that they will also find a place of fellowship to grow in their faith in Jesus Christ. Because of various sicknesses going around, there were a few others that would have come but were prohibited. This first meeting in Rozsaszentmarton is actually bigger than our first meeting we had so many years ago when we began church planting in Petofibanya. I had no idea at that time that Dezso who initially attended some of our English classes would grow into a mature elder at our church. God used Dezso in a mighty way to reach his neighbors Ági and Tamás and turn their attention to Jesus Christ. 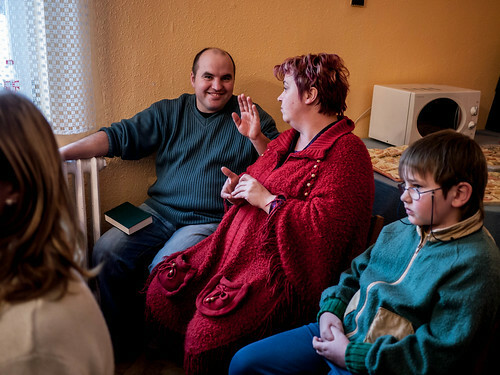 Tamás was saved by Jesus, his marriage was restored and he was delivered from alcoholism. Tamás has become an evangelist, reaching out to his family, his neighbors and anyone else that crosses his path. May God be glorified in these exciting days! Above: Breaking up into smaller groups at our Sunday service in Petofibanya. 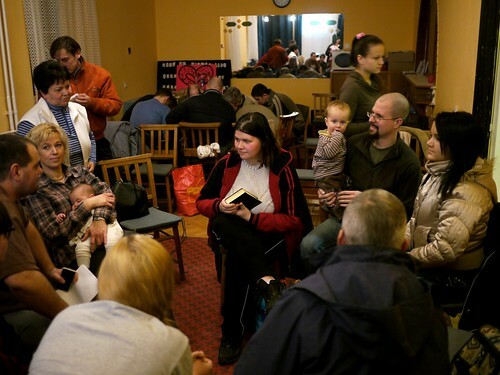 Our desire through this time of transition from one church plant to three (Petofibanya, Rozsaszentmarton and Apc) is to continue meeting one Sunday with everyone combined, and the next Sunday in the three locations whether in houses or community centers. This allows for the continued support of new church plants maintaining connectedness with those who are beginning works in new areas . In the future, depending on how God leads, these ‘all together’ meetings may decrease from every other week to once a month, with the church plants gaining more stability and strength over time. It is our hope that these church plants will also send out new core teams to plant church planting churches. 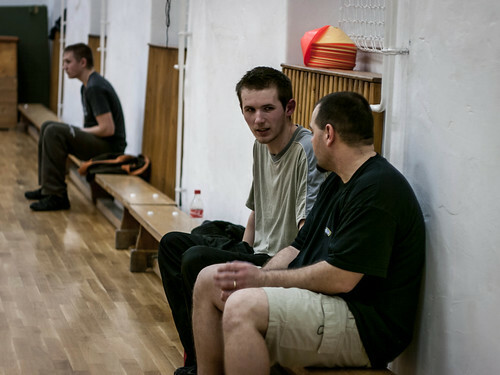 Above: Márk (left) talking with Istvan. 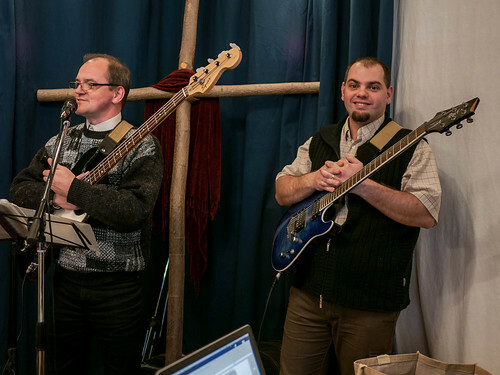 Márk who has not yet put his faith in Jesus is actually the brother of church member Peti. We’re thankful to see him once again attending church and open to hearing God’s truth. Above: A recent baby dedication of our little Ziva, along with Jázmin (little girl praying above) and Odett (in blue). Parents Monika and Misi (far left) came to know us through our volley ball outreach and were later saved in an evangelistic Bible study that Miki and Erika held at their house. Over the past few weeks the temperatures have dropped to dangerous levels. Kira’s preschool closed because of the deep freeze and Ben and Elianna have had to bundle up with serious layers on their walk to school in the morning. We’re so thankful for a home that is warm, for clothing to bundle the kids up in and for our car that has done fine in these frigid days. 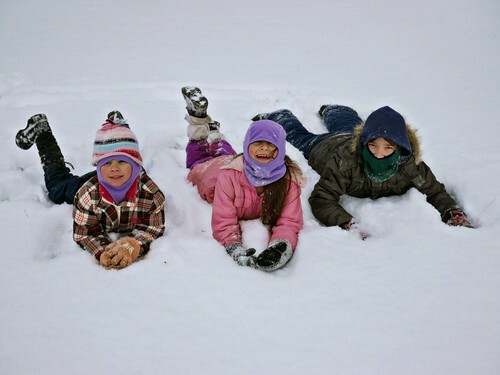 Oh, and finally enough snow to go sledding! 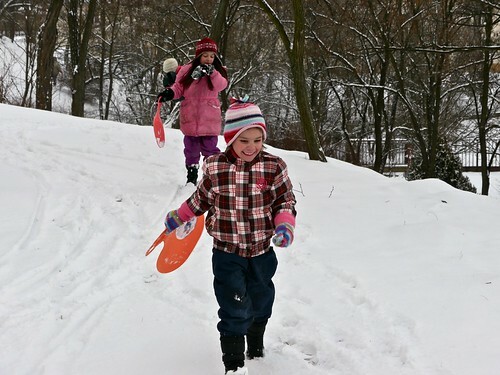 Check out the film below to see some sledding fun. Towards the middle of 2011 we phased out our teen outreach ministry and began focusing more on smaller group discipleship and one-on-one mentoring with teens. It has always been our desire that God would raise up a few from those being discipled to begin a weekly teen meeting again. Over the past few months, Miki has been training both Gabi and Gyozo for that very purpose and last week the ministry was launched. Initially, this weekly meeting is for the Christian teens in our church and their continued growth. We plan to have it transition into an evangelistic outreach to the many teens in our town who are in great need of coming to know Jesus Christ as their Savior and Lord. Above: Zsofia, Niki and Cinti. Above: Gabi (co-leader) and Gyula who continues to grow in his faith. Above: Ricsi and Gyozo (co-leader). Please pray for these young men, Gabi and Gyozo as they seek to use their gifting to edify the youth in our church. Pray for this group to gain a greater passion for Christ and a deep desire to reach the lost in our area. Above: Elianna having a conversation with Ziva. Ziva is very interactive and is smiling and talks up a storm in baby language when she’s in a good mood. 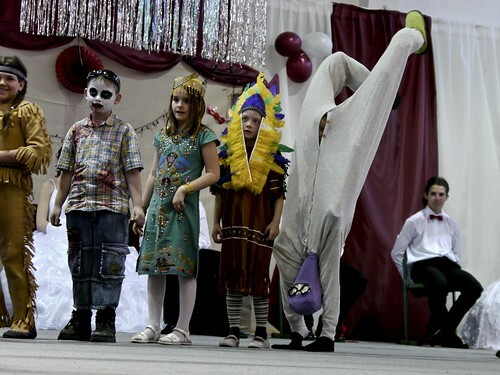 Above: Elianna in her upside down man outfit at her “Farsang” event at school. Farsang is similar to halloween in the US without the door to door asking for candy stuff. Elianna ended up winning a box of chocolates for a prize. You could hear the laughter following her as she walked through the crowded aisle. It was a very funny sight. Thank you for your continued support and prayers. We would appreciate prayer for an upcoming all day team meeting this Saturday discussing direction, changes and new ministries.